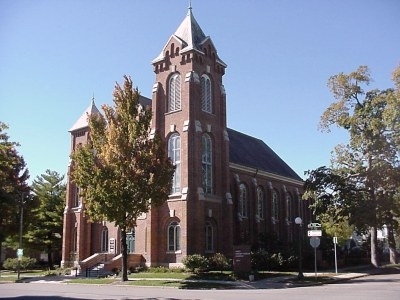 The history of Champaign, Illinois, the University Of Illinois at Urbana-Champaign and First Presbyterian Church are interlinked, even though First Presbyterian Church congregation organized 17 years prior to the University of Illinois receiving its charter. At that time, Champaign was little more than a swamp known as 'West Urbana'. Here's the our members favorite photos of "Churches in Illinois". Upload your photo of First Presbyterian Church!